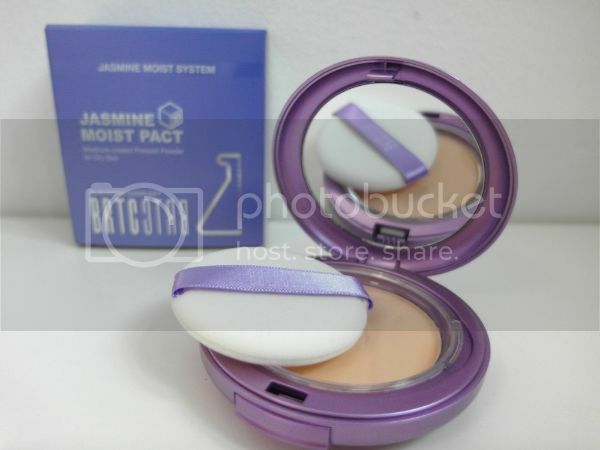 This moisture-coated pressed powder with SPF50/PA+++ is suitable for dry skin. Microfine moisture-coated powder hydrates skin as it evens out skin tones. The clump-free hydrating formula blocks UV rays while creating a bright complexion. Another one of my favorite Korean brands, I love how the signature Jasmine scent is in this product too! Just like most Korean brands, it comes with a plastic flap to separate the puff from the pressed powder, very hygienic. The texture of the powder is finely milled and I reckon it may be too light for some (Assuming it only comes in one shade). It wasn’t too much of a problem for me as I only apply it on my T-zone and chin area, in fact it makes my skin looks much brighter too.